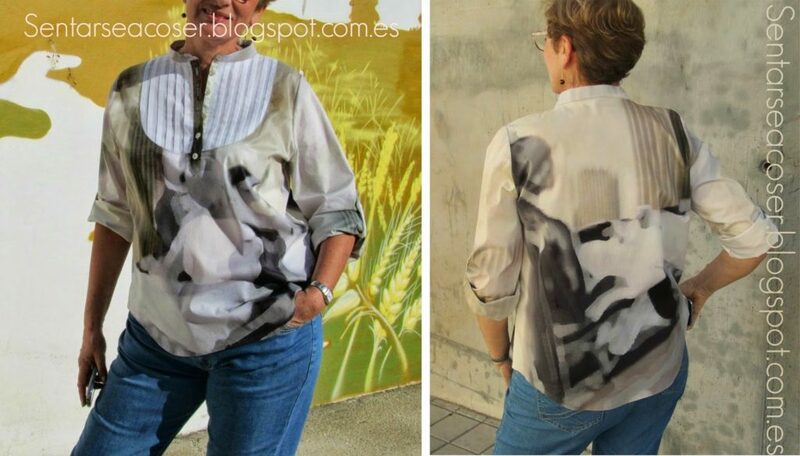 Home Tags Posts tagged with "bib"
Thank you for sending me links to your blogs or photos of your beautiful Carme blouses! 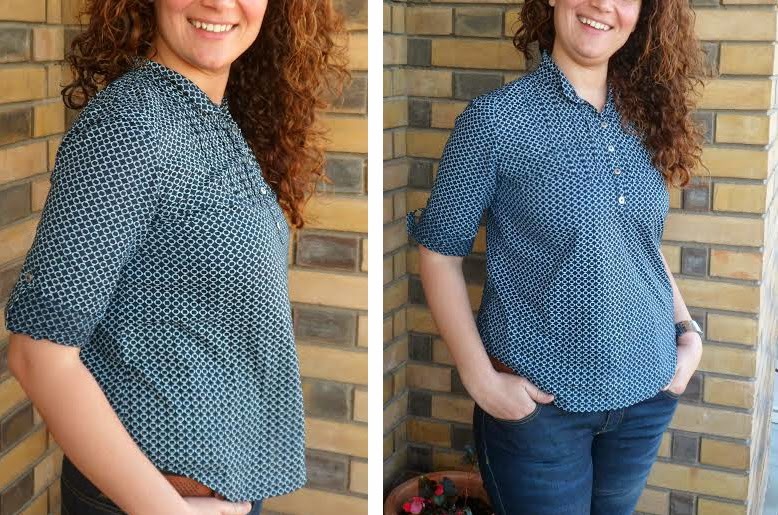 This is amazing to see the different versions you’ve made: we’ve got some prints, some plain fabrics, some contrasting yokes, with or without buttons, different sleeve lengths…. Bee Made‘s amazing print fabric is perfect for Spring, don’t you think? What an elegant blouse! I love Gwendolyn‘s contrasting yoke and her beautiful Nani Iro fabric. I love Marta‘s pretty blue Carme. 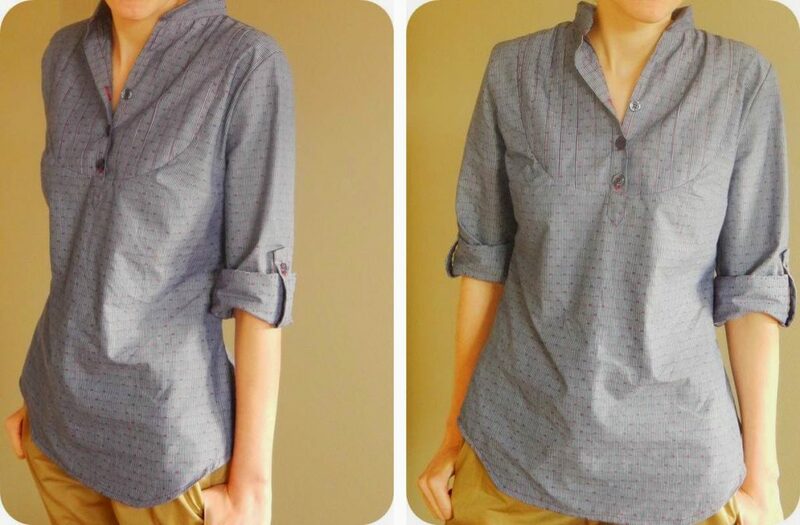 The discreet print is lovely and make for a casual yet put together look. Black and blue look great together, like on SB Creations version. This fabric looks amazingly comfortable. And the red stitching to pick up the dots on the fabric is genious. Congrats l’Irbis! Annie Coton‘s version is so pretty. 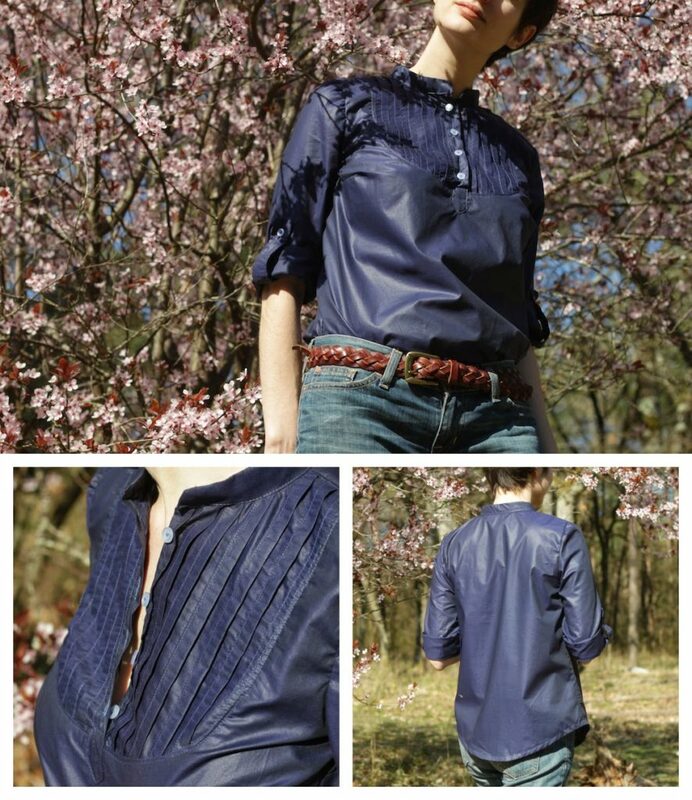 The oiled fabric is a very original touch and the cherry blossoms make the perfect background. Mary Carmen chose to make a contrasting yoke as well. Her fabric looks great and easy to dree up or down. Dotted swiss: I dream about Sandra’s version. And as she pointed out, perfect for every situation: from the beach to the office. What can I say about Blousette coquette‘s Carme? I absolutely love the colour! It’s like the twin sister of my last version, hehe. 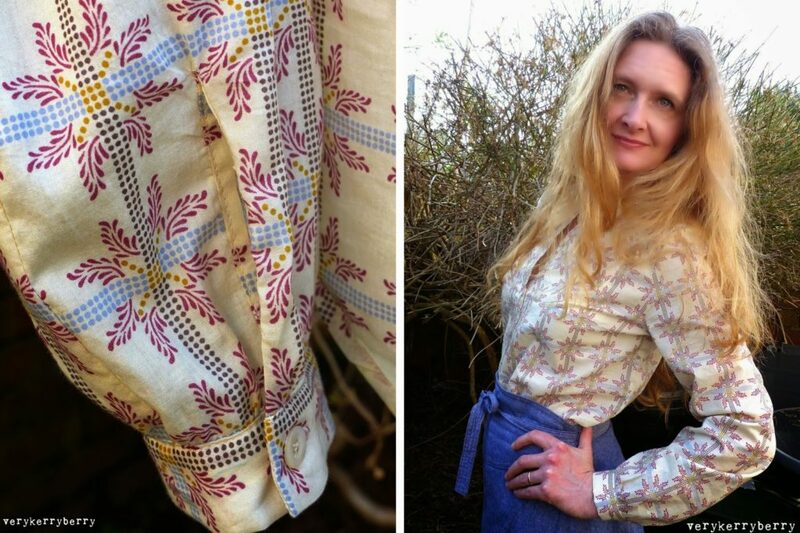 Kerry‘s printed voile is so beautiful! And those details are perfect. I love how she cut the yoke without pleats and on the cross-grain. 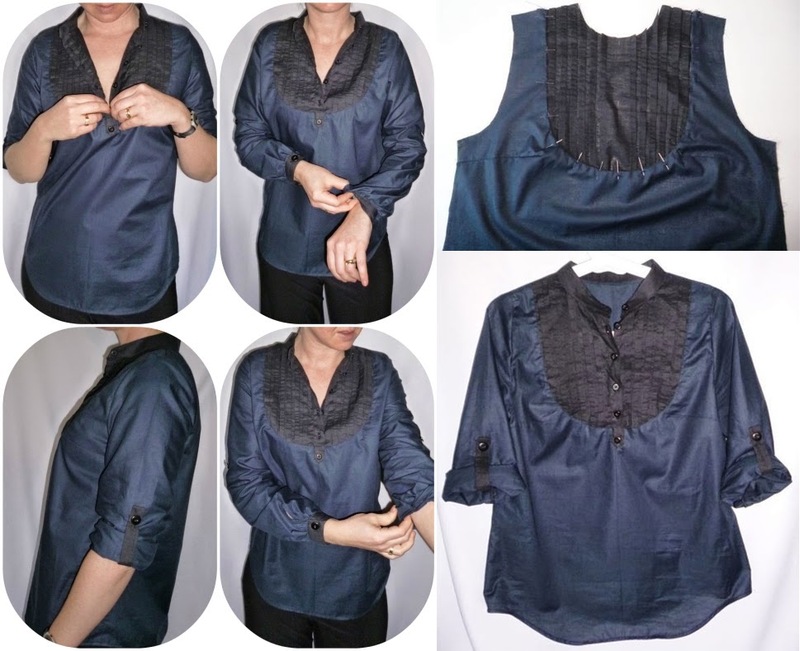 I’m overwhelmed to see the amazing reception you reserved to the Carme blouse pattern. THANK YOU so much!!! If your photo is missing, send me an email and I’ll add it. 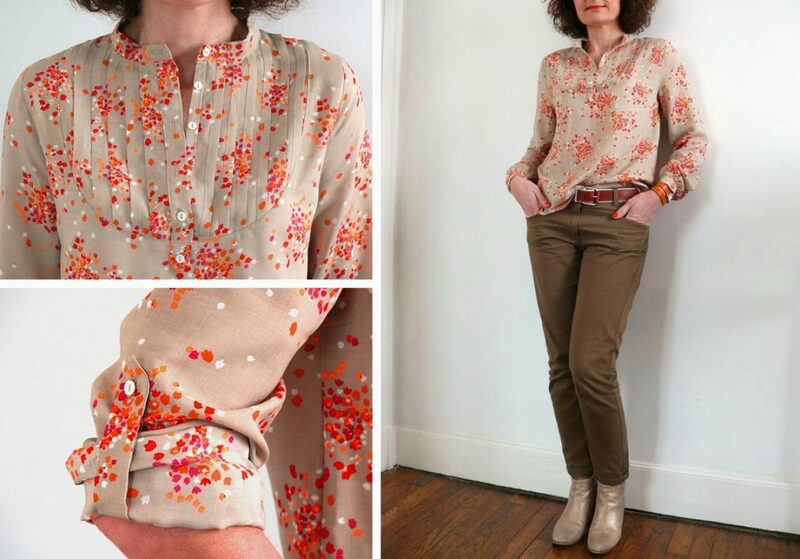 And remember that you can get the Carme pattern here: Carme blouse pattern. The pin tucks… they might seem difficult to make and get those nice and parallel little folds might seem tricky but it’s not! When I was designing the Carme blouse, I wanted to incorporate pin tucks because I find they add a romantic detail without beeing to “frilly”. 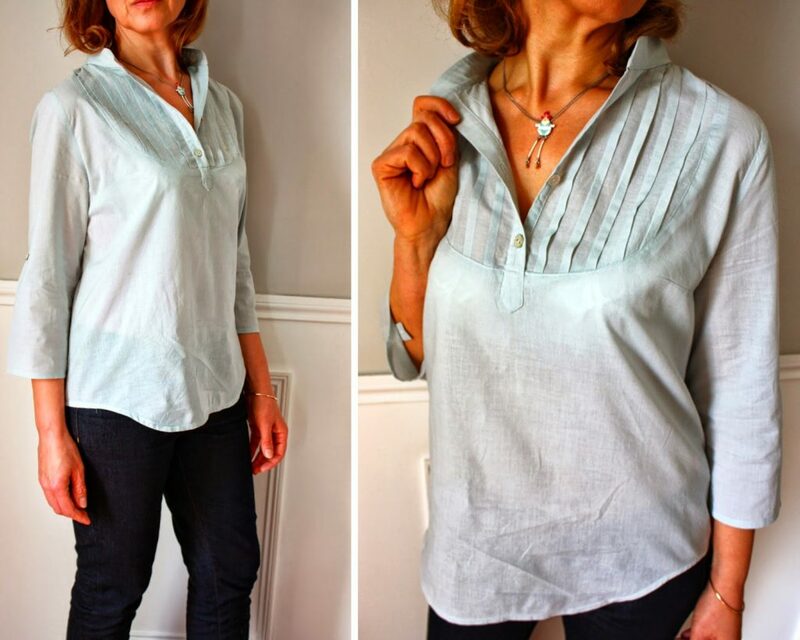 So I tried different approach to pleat the yoke and the one we’re using is by far the easiest I could find (if you have any other method, please let us know). We’ll make the pin tucks on a big enough piece of fabric and then cut the yoke out of it. So if you’re not happy with your pin tucks, you can make more before cutting the final yoke. And don’t worry, folding the pin tucks is not as time consuming as you think… just need a little bit of patience.